The SI Youth Program is a week-long place to explore and learn about UU ethics and values without some of the constraints of today’s society, while still in a safe environment. A core part of SI, the Youth Program offers age-appropriate programming for about 125 youth from rising 7th graders – 12th graders. Youth have our own theme speakers each morning, after which we participate in a variety of morning workshops, such as music jam sessions, cooking for coffee house, crafts, games, dancing, and planning for that evening’s youth worship. Following lunch in the dining hall, you can attend a variety of inter-generational afternoon workshops (everything from Ultimate Frisbee to Dungeons & Dragons.) 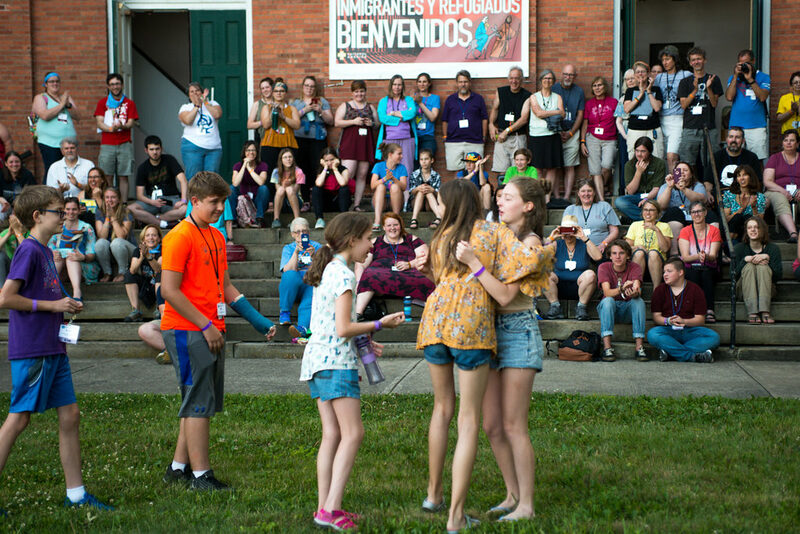 Your evenings are filled with various activities, including talent shows, card games, dances, movies, games, hand-drumming circles or just hanging out with other UU youth. After these events, Youth Vespers, created by and for youth (although all SI community members are invited to attend), take place. There is no way to describe Youth Vespers—once you attend one, you’ll know what it is all about, and you’ll probably want to attend more! If you’re entering 10th grade, you have the option of staying in the Youth-Focused Dorm. If you elect to stay in the Youth-Focused Dorm, your parents or sponsor must also stay in the dorm; they can share a room with you or stay in a different room. At SI, it doesn’t matter if you’re 13 or 18 or somewhere in between. Nor does it matter if you prefer music, sports, political discussions, art or just being with UU people. Basically, if you’re open-minded and looking for the fun, respect, meaning, or love that you can?t find in regular society, the SI Youth Program is the place for you. The idea of showing up to spend a week with more than 100 youth that you’ve never met before can be intimidating. Maybe you’ve been to a couple previous SI’s, but you always spent your time in the children’s program and now you’re too old for that. Or this is your first ever SI and you know at most two or three other youth from your church youth group back home. No worries, each of us on the Youth Panel knows what it is like to be coming to your first SI in the Youth Program and we’ve arranged a few things to make sure everyone has a good time. *If you are an upcoming 7th grader, you have the choice of either staying in the Children’s Programming or entering the Youth Program. During the first night of Summer Institute the youth have a bridging ceremony. This is an event for incoming Seventh graders or youth who are new to Summer Institute to formally join the youth community. It is a joyous celebration as well as a physical symbol of initiation into the youth community. Bridging is an important event in the youth community. Most, if not all, youth and parents attend. There will be multiple announcements about where and when bridging will be held on Sunday night during the mandatory youth and youth sponsor meeting so do not be concerned about not being able to find it. Once you meet at the bridging site, bridging youth will be directed as to where to go. During the bridging they will have a specific youth assigned to bridge them and welcome them into the community, so do not worry that you will not have a youth to bridge you. What are Touch-Base Groups? Each touch group consists of around ten youth and they are led by a specially trained youth leader and an adult leader. Touch groups meet daily to play games, do crafts, talk and provide a smaller, casual setting for you to get better acquainted with other youth. What are chaplains? If you are having an issue or just want to talk to someone, there is a youth chaplain and an adult chaplain available. 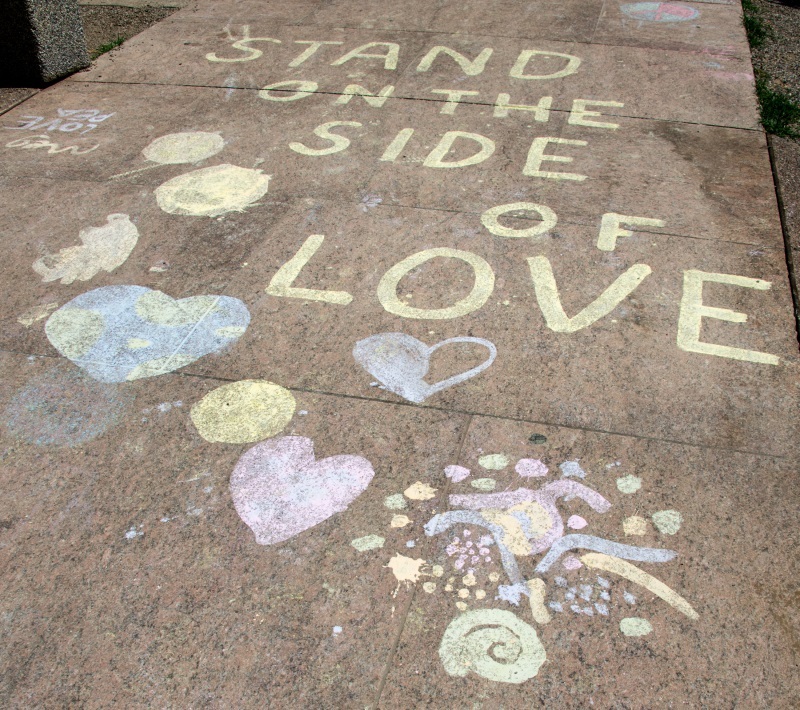 Their primary purpose at SI is to provide a supportive ear for those who need it.